Even locals will admit the journey to the Yukon’s Dawson City is not for the faint of heart. But is it worth it? Our answer is absolutely yes! There is every reason to get excited about a trip to Dawson City, whether it’s to attend the upcoming Dawson City International Gold Show taking place the third weekend in May, or strictly for pleasure. A city immersed in Klondike Gold Rush history, it also boasts an eclectic and energetic recreational scene with an unspoiled view of rolling hills and rivers to boot. The city is home to miners, First Nation peoples, artists and a collection of wanderers who’ve extended their stay indefinitely. The Dawson City International Gold Show is an ongoing tradition now celebrating its 29th year. One of the largest gold-mining industry tradeshows, the Gold Show is a one-stop-shop for new ideas and products relevant to the modern-day placer (open streambed mining) mining industry. Several other events will take place that same weekend, beginning Friday, May 15, including the annual Break-Up Comedy Festival with CBC’s Steve Patterson and other guest comedians. To clarify, the Break-Up Comedy Festival has nothing to do with relationship break-ups and everything to do with welcoming spring and bidding farewell to the ice and snow with a good belly-shaking laugh. There are numerous trails, hikes and other outdoor recreational activities in Dawson City that could pack a summer’s worth of weekends. The Ninth Avenue Trail is a well-maintained and easy one-mile trail that loops around the town and takes about 30-45 minutes to complete. The trail is the starting point for several other longer hikes and a good choice for anyone visiting town on business and needing a break for fresh air. To really get out and enjoy the scenic surroundings, we recommend heading out on a canoeing adventure. Short day trips down the Klondike River are available, as well as multi-day excursions along the Yukon River. Gear rental is available from several different businesses; just ask the front-desk staff at the Westmark Inn. Visitors traveling with kids (or any adults who still really love fire trucks) will enjoy a visit to the Dawson FireFighter Museum. The Dawson City Fire Department is the oldest fire department in the Yukon, and as such. the museum display includes numerous vehicles and artifacts that were, at one point in time, sold or given away and were since reacquired and restored. Some of the highlights here include a 1897 Clapp and a Jones Fire Steam Pumper. Last, but certainly not least, one can’t say they’ve been to the hometown of the Klondike Gold Rush without having visited a gold mine or tried their hand at panning for gold. 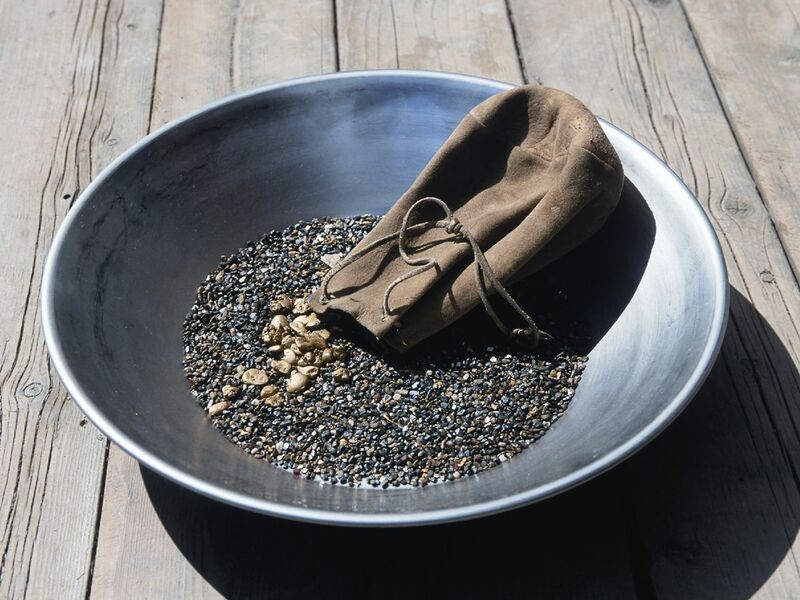 Gold Bottom Mine is an operating placer mine that offers tours, opportunities to pan for gold and history lessons about the Klondike and the town of Gold Bottom that once boasted a population of 5,000 people. When it comes to planning a weekend itinerary for a trip to this northern gem of a town, these activities are only the tip of the iceberg. Museums, parks and a thriving arts and dining scene also await visitors who make a visit to Dawson City a part of their plan.